Plankton: little is seen during the winter months in Port Townsend but when the spring and summer months arrive its a planton feast! With increased sunlight, temperature and nutrients the water turns from clear to cloudy and brown swimming with microscopic life! 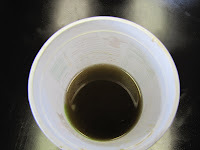 Plankton-filled water from a plankton tow. A drop of water from a plankton tow. 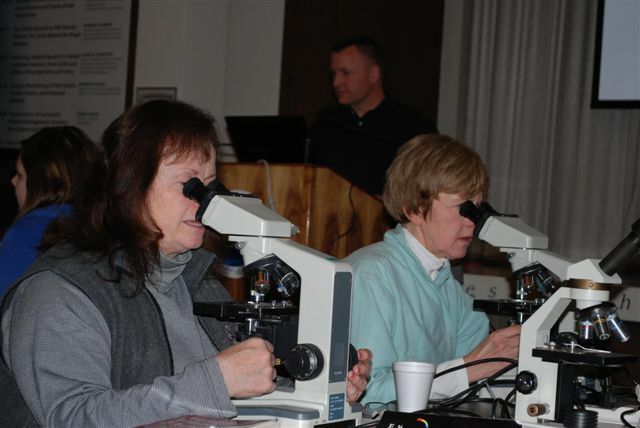 NOAA put on a plankton identification conference where organizations and volunteers can gain a better understanding of how to tell apart different species of plankton. 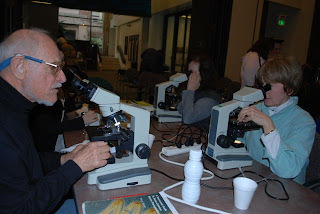 Can you imagine looking at a tiny piece of plankton through a microscope and trying to figure out what species it is? Our volunteers at PTMSC are excellent and spend many hours throughout the year monitoring our local waters and the plankton that is present. Our SoundToxins program allows volunteers to go out weekly and collect water samples and count how many of each species is seen in the water. Specifically our volunteers are looking for the 'bad plankton.' 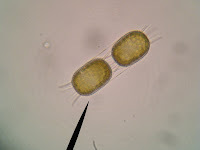 In high numbers some plankton can make swimming or eating shellfish dangerous to human health. Monitoring plankton and looking for patterns in plankton species is an important part in better understanding the ecology of our local waters. 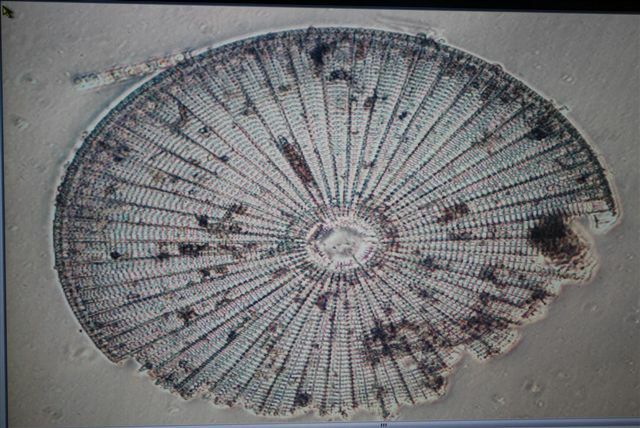 Beautiful plankton found in Port Townsend. PTMSC is part of a national database for monitoring plankton abundance. This information can help scientists determine global patterns of plankton blooms based on the weather patterns, salinity, or wave action. 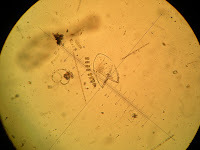 Visit: http://www.chbr.noaa.gov/pmn/ for more information about plankton blooms and patterns.